On Thursday 24th January 2019, one of Drove Primary School’s year six pupils, Norah, was presented with an award by Her Royal Highness The Duchess of Cornwall as part of the National Literacy Trust’s Lost Words poetry competition. 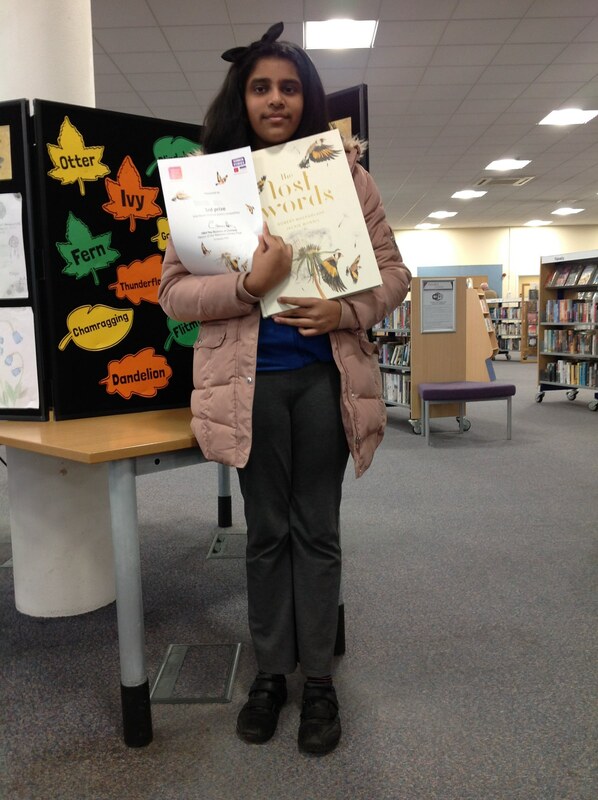 Norah attended the ceremony, which took place in North Swindon Library, and was awarded a certificate and a book for finishing in third place in the Lost Words competition. The poetry competition was inspired by the titular book by Robert Macfarlane and Jackie Morris, which celebrates the language of nature that has left children’s common usage. Every primary school in Swindon was invited to take part in the competition. 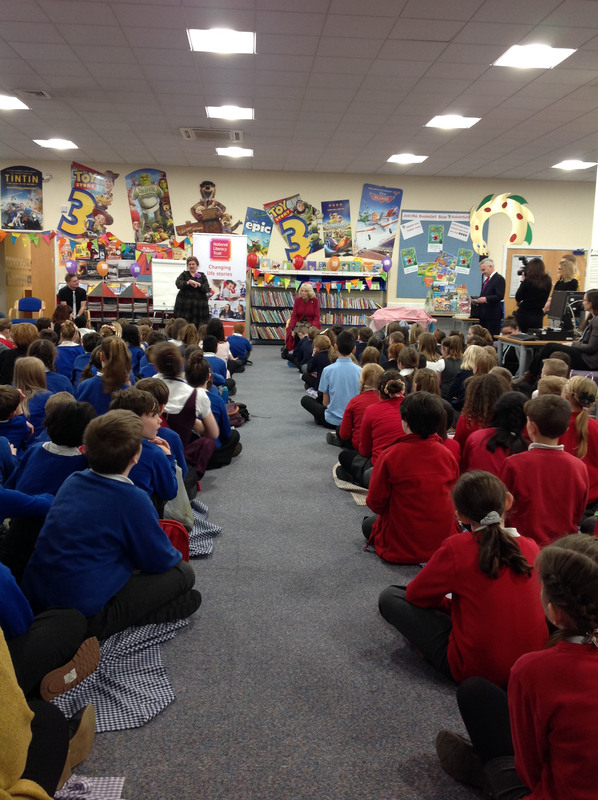 The winners were announced by Jonathan Douglas, Director of the National Literacy Trust. The trust is an independent charity dedicated to raising literacy levels in the UK and giving children and young people from disadvantaged communities the literacy skills to succeed in life.